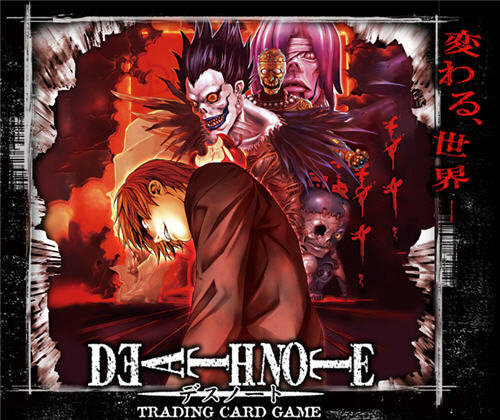 Yet another Japanese manga series turned video game series turned CCG: Death Note. From Konami. The series, as I gathered from the Wikipedia description, has an interesting moral premise of vigilantism and detective work, but I don’t see these elements working their way into the card game. The CCG is played to 13 victory points, and you flip and unflip your cards to do so. But wait! There is a also a non-CCG Death Note Investigation Card Game from Trofe, which seems to play like Mr Jack crossed with Werewolf; players hunt the evil guy to kill him, or the killer to stop him. One guy secretly plays the killer; the other guys have to close their eyes while the killer makes his move.